Simple. Cheap. Hearty. Satisfying. Delicious. For college cooking those are my goals when finding new recipes! (Truth is, I look for those characteristics in any recipe I try!) 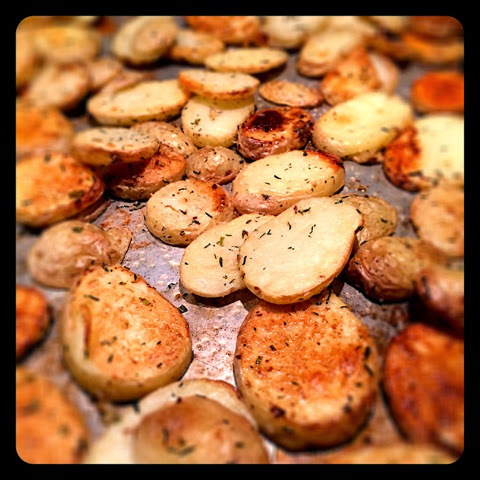 And, this is especially true when looking for side dishes and ways to eat veggies! Coming back from classes, you really want something with a few steps...so you can eat! On the other hand, you don't want a salad every night, either! Roasting is a great cooking method to use for veggies of all kinds--broccoli, asparagus, carrots, parsnips, potatoes--it is healthier, seals in flavor, and there is really nothing to do except prepping whatever your eating that night! 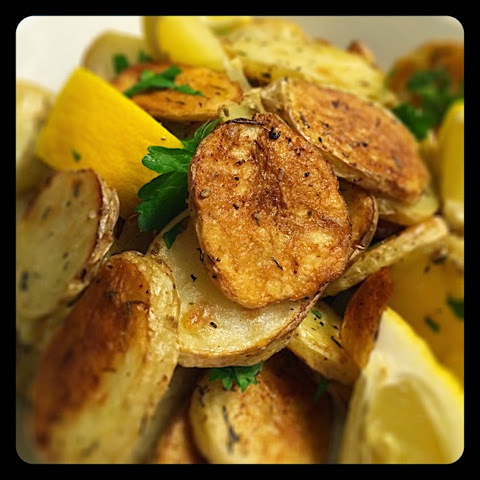 Try this roasted side dish next time from Huckleberry Cafe out in Santa Monica, California! Do some California Dreamin' with supper tonight! 1. 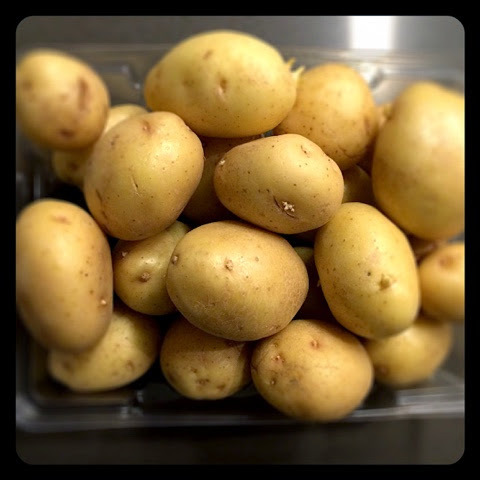 Wash your hands and the potatoes. 2. Preheat oven to 425F degrees. 3. 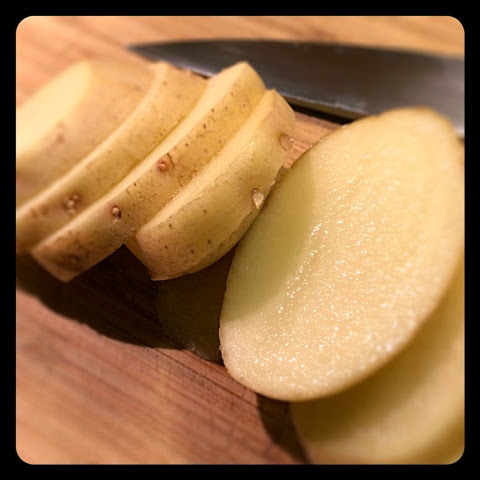 Slice your potatoes into 1/4" sliced rounds. 4. 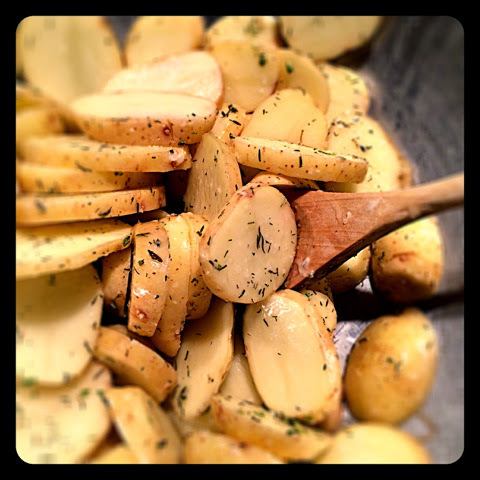 Toss potato slices with butter, oil, herbs, salt and pepper. 5. 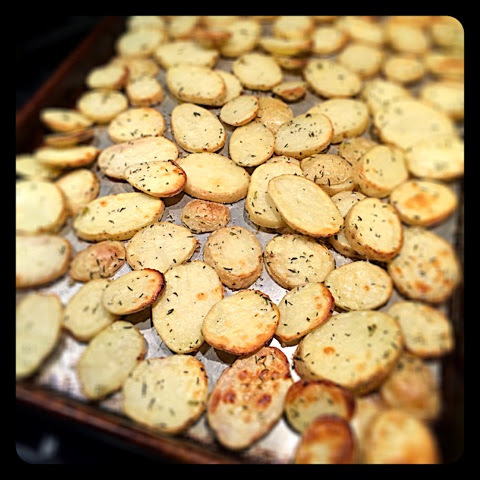 Arrange slices in a single layer on baking sheet and bake for 25 minutes. 5. 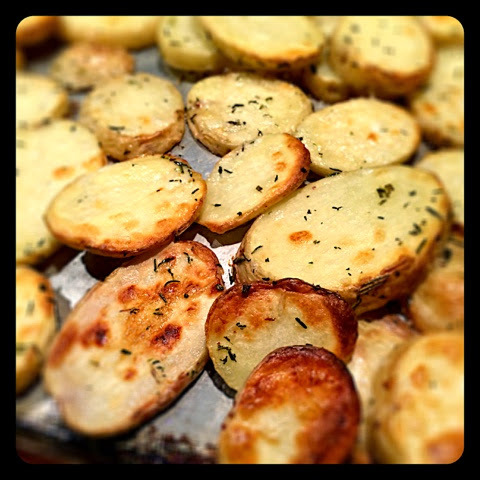 Flip the potatoes, turn up the heat to 475F degrees, and bake another 10 minutes to complete browning & crisping. 6. 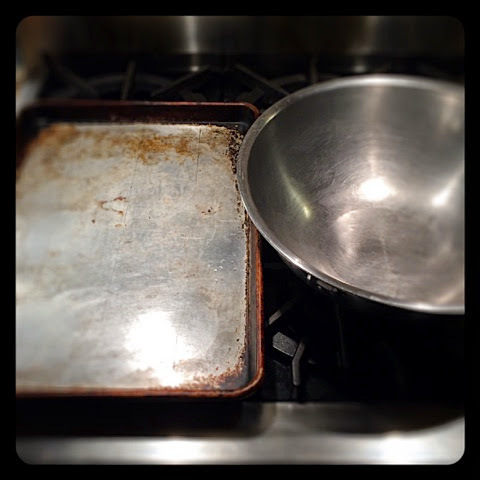 Set aside x 10 minutes. Do not refrigerate. 7. 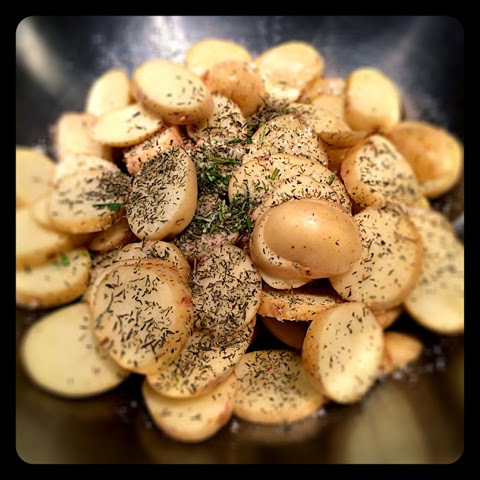 You can toss them with lemon and parsley and consume. 8. 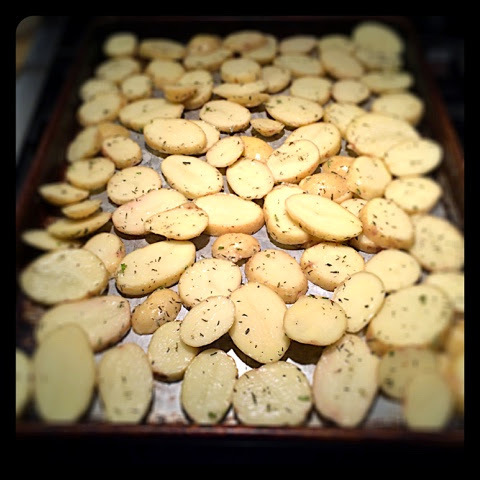 Or, if serving later, you simply put them back into the oven for another 5-8 minutes of crisping at 475Fdegrees.